Ingrid Bergman, the immensely popular and charismatic international film star, was born on this day in 1915. She passed away on the same date in 1982. I always thought that was tragic but cool and makes for a nice, simple tombstone. with Hitchcock on the set of "Notorious", 1946.
with Bing Crosby. Holding her Academy Award for Best Actress for her role in "Gaslight." She became a smoker after needing to smoke for her role in Arch of Triumph. There is a hybrid tea rose named after her. She could speak Swedish (her native language), German (her second language), English (learned when brought over to United States), Italian (learned while exiled in Italy through osmosis) and French (learned formally from language teachers) fluently. She acted in each of these languages at various times. 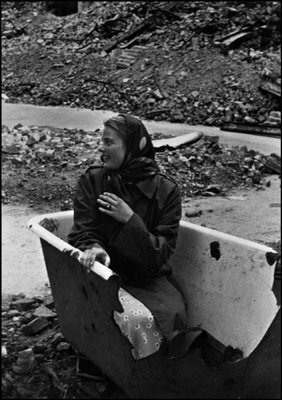 She was the topic of a Woody Guthrie song entitled, uh, "Ingrid Bergman," which was composed in the year 1950. At the request of Woody's daughter Nora, Billy Bragg and Wilco set the lyrics to music and placed the song on their 1998 album "Mermaid Avenue"
Bergman didn't think much of Casablanca, and was somewhat irritated when asked about the film. "I made so many films which were more important, but the only one people ever want to talk about is that one with Bogart." About Bogart, she said "I never really knew him. I kissed him, but I didn't know him." 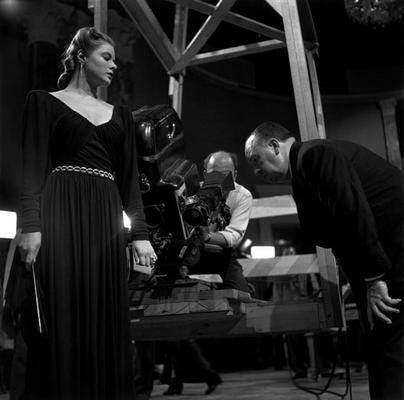 Although they worked together, Bergman is not related to fellow Swedish director Ingmar Bergman. The fact that Ingmar Bergman married Ingrid von Rosen who subsequently took the name Ingrid Bergman sometimes further contributes to confusion about their relation. 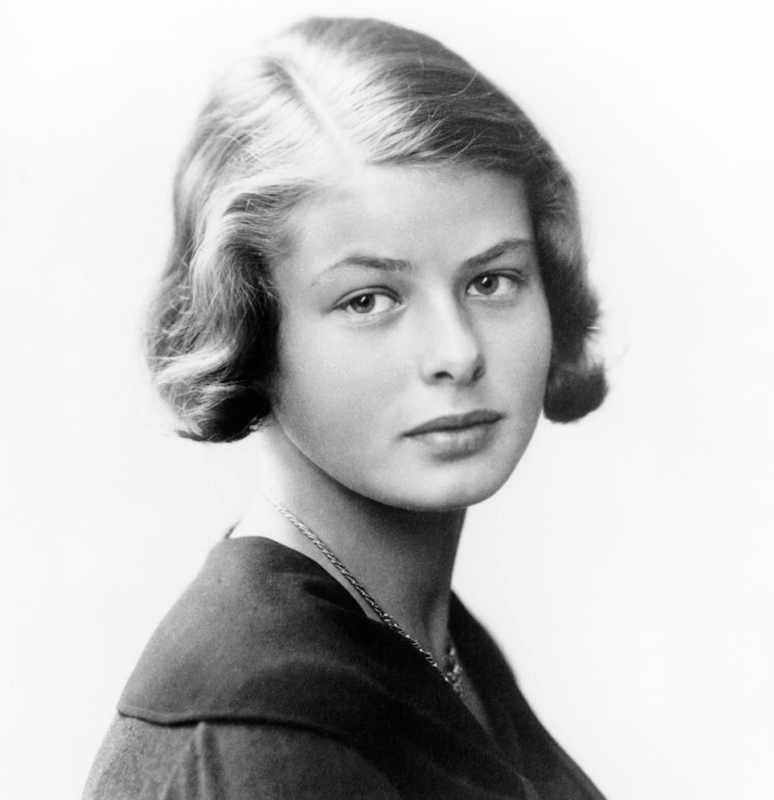 Ingrid Bergman died on her 67th birthday in London, England, following a long battle with breast cancer. Her body was cremated in Sweden. Most of her ashes were scattered in the sea with the remainder being interred in the Norra begravningsplatsen in Stockholm next to her parents. 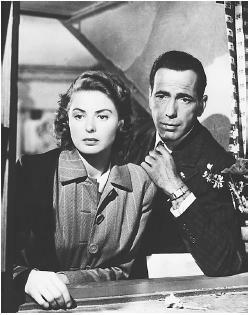 A single violin played the song "As Time Goes By", the theme from Casablanca, recalling her most famous role, that of Ilsa Lund. and pia lindstrom is her daughter. Pia was on NBC 4 for a very long time, too. Shame on me. I should probably do an update on all of Ingrid's offspring: Pia and then Roberto, Ingrid and Isabella. It's quite confusing. Too many Ingrids.